How to install HappyFox Chat in Magento? 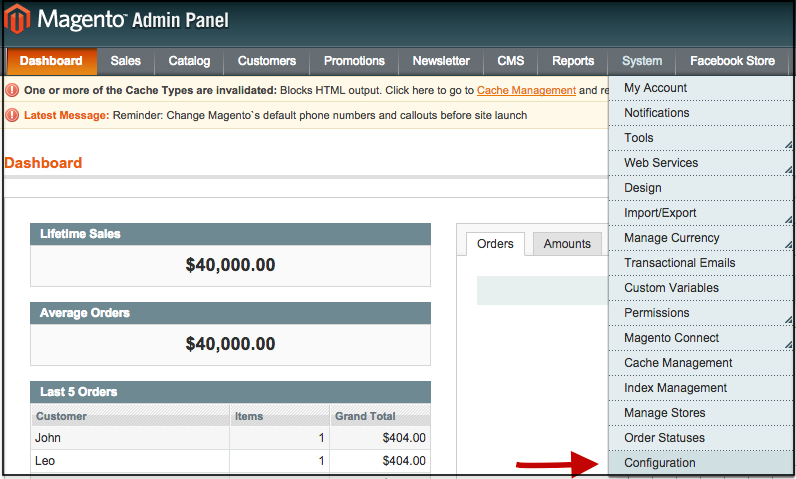 Step 1: Login to your Magento store’s admin panel (as Administrator). Step 2: Go to System → select Configuration. Step 3: Click “Design” tab on the left menu → Select Footer → Paste HappyFox Chat installation code in the “Miscellaneous HTML” text box. Step 4: Click "Save Config" button on the top right corner and you are all set! You can view the HappyFox Chat widget installed on your Magento Store. How to install HappyFox Chat on any website? How to install HappyFox Chat on PrestaShop? How to install HappyFox Chat on Volusion site? How to install HappyFox Chat on Weebly site? How to install HappyFox Chat via Google Tag Manager? How to track events on Google Analytics via Google Tag Manager?